Threats to the Savage Land emerge from outside and within as Ka-Zar struggles to make sense of growing conflicts among his people. With a terrible famine raging across Pangea, outsiders are making plans to return. The forests burn as Pangeans strike deals with terrestrial corporations. And complicating matters is the reemergence of an ancient threat: the mysterious Ether Tribe, which has returned to punish anyone who dares deal with the outside world. Standing at the center of these myriad conflicts: one man and his tiger. Can Ka-Zar save his kingdom before it's too late? 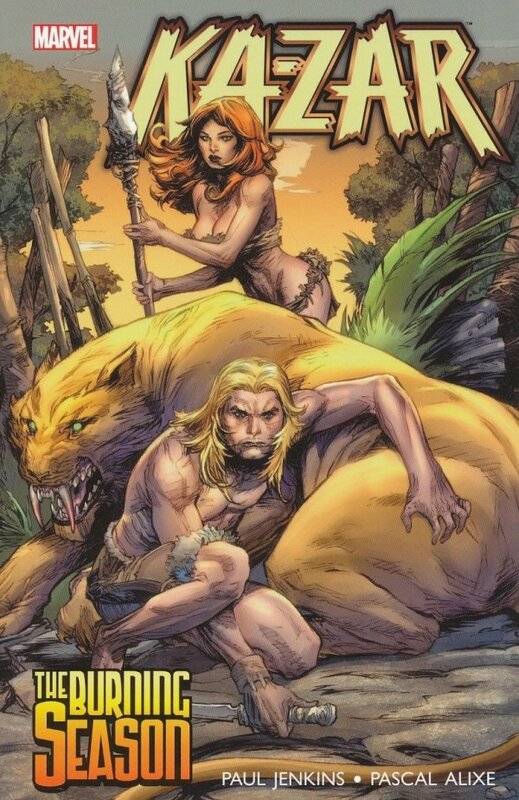 Collecting KA-ZAR (2011) #1-5.